WASHINGTON -- With continuing attempts in Congress to repeal and replace the Affordable Care Act (ACA), a panel of experts and patient advocates at the American Association for Cancer Research's annual meeting here discussed how changes would affect cancer patients and survivors. "I don't know if I'd be alive today without coverage under the Affordable Care Act," said Chiara D'Agostino, a 45-year-old from Montclair, N.J., with triple negative, stage IV metastatic breast cancer. She said she could not have afforded medical insurance without the ACA. "And I'm incredibly anxious that my healthcare insurance can be pulled out from under me." She was joined on the panel by three-time breast cancer survivor Diana Chingos of Los Angeles, who related how she could not switch health plans prior to the ACA, as well as moderator Gilbert S. Omenn, MD, PhD, of University of Michigan, and Ernest Hawk, MD, MPH, of University of Texas MD Anderson Cancer Center. Omenn, Harold T. Shapiro Distinguished University Professor of Internal Medicine, Human Genetics, and Public Health at the University of Michigan, and director of the UM Center for Computational Medicine & Bioinformatics, formerly served as EVP for Medical Affairs and CEO of the University of Michigan Health System. 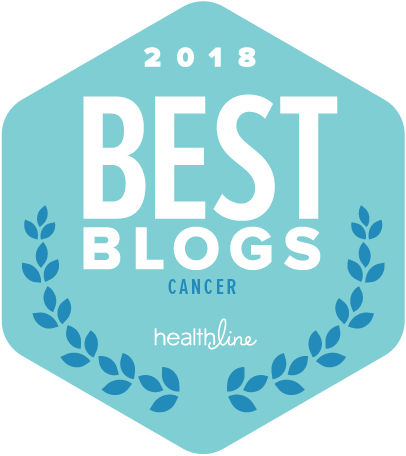 He noted that access to comprehensive health insurance is vital for all Americans, especially the 1.7 million who were diagnosed with cancer in 2016, and the estimated 15.5 million cancer survivors in the United States today. Omenn acknowledged that, in the wake of failed efforts thus far to craft legislation that can pass Congress, the precise shape of future changes remains uncertain. "About 3% of healthcare spending in the U.S. is for prevention and public health, and 75% of healthcare costs are related to preventable conditions," said Hawk, noting that one-third to one-half of cancer deaths are preventable in western populations, and that the ACA has provisions for covering clinical preventive services. Repeal of the ACA would cost the CDC $5 billion or 12% of its annual budget, and states would lose more than $3 billion in public health funding over 5 years, he said. "The Affordable Care Act elevated prevention as a national priority and provided access to clinical preventive services," Hawk said, adding that it also strengthened the role of the U.S. Preventive Services Task Force (USPSTF) by increasing its authority. Chingos, a 23-year breast cancer survivor, said that when she left the corporate world to freelance years ago, she hadn't expected to be diagnosed with cancer at age 30. "I found that I was married to my health insurance policy," she said, since she couldn't switch coverage because of her pre-existing condition. "I became an insurance pariah, I had a high deductible, annual caps on my out-of-pocket costs, and was paying $100 for each of my anti-nausea (Zofran) pills," she related. Chingos said that under managed care prior to the ACA, she lost many doctors who could not afford to take her insurance. To her, she said, "Repeal and replace are words that are not compatible with a cancer diagnosis."